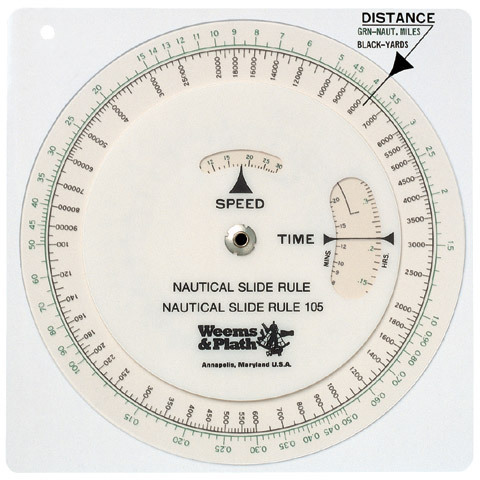 The Nautical Slide Rule offers a foolproof immediate solution to all common speed/time/distance problems and is convertible to statute or nautical miles. This Nautical Slide Rule even allows you to compute distance in yards if the speed is factored in knots. Easy to read and operate, the Nautical Slide Rule has a Lifetime Warranty from Weems and Plath. The Nautical Slide Rule is standard in U.S. Navy. The Nautical Slide Rule is sometimes referred to as a Time Speed Distance Calculator.